I was asked to teach a two hour Mexican cooking class this past summer for a corporate group. The only caveat was that I would not have access to a kitchen or an oven, so my options were limited to using portable stoves and a large table top. What to do? 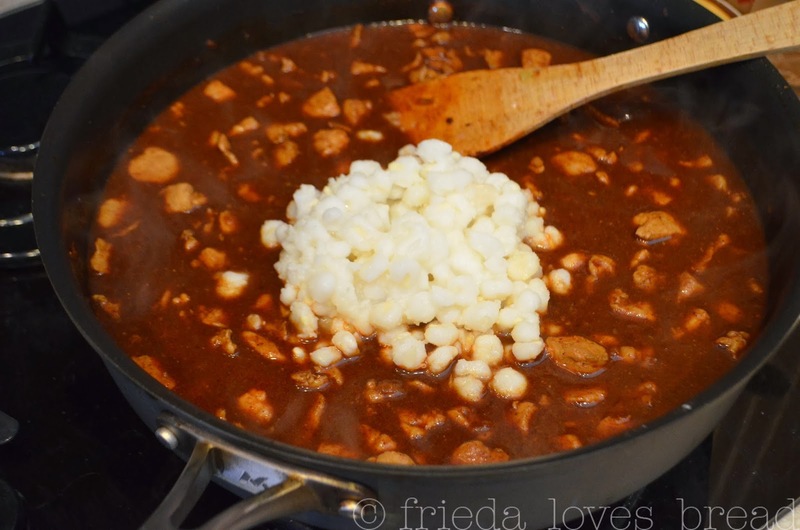 I have never heard of Pozole ~ she basically described it as a traditional Mexican soup using a red enchilada sauce without the thickener and adding pork and hominy. Hominy is made from kernels of corn, soaked in lime or lye, which removes the hull and germ of the corn and causes it to puff up to twice its normal size. It is either white or golden, and you can use either for this recipe. 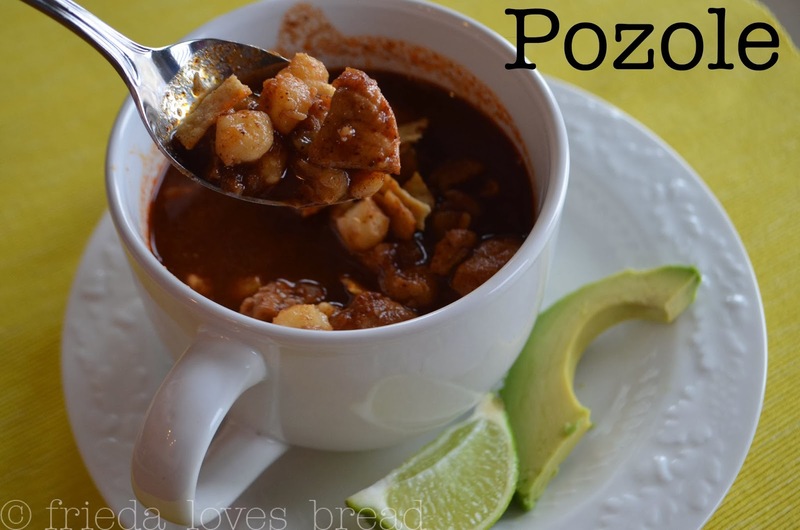 Pozole is very easy and quick to make. 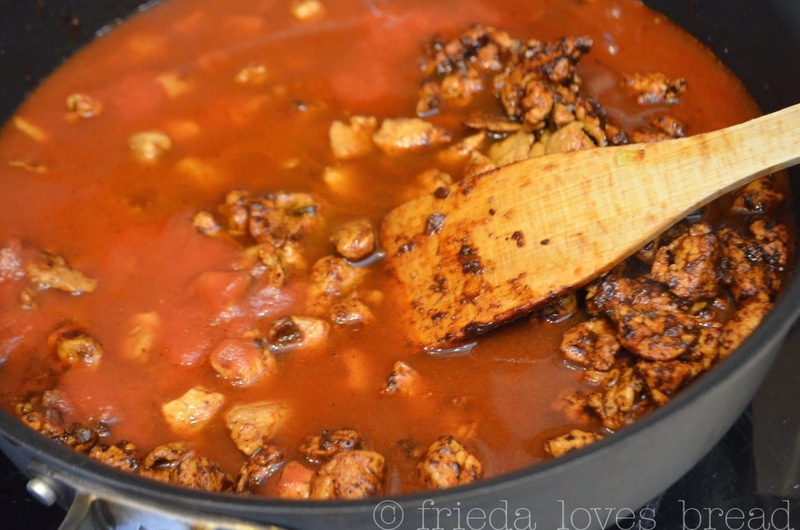 It starts with cut up boneless pork ribs (shoulder, stew meat) which are browned. 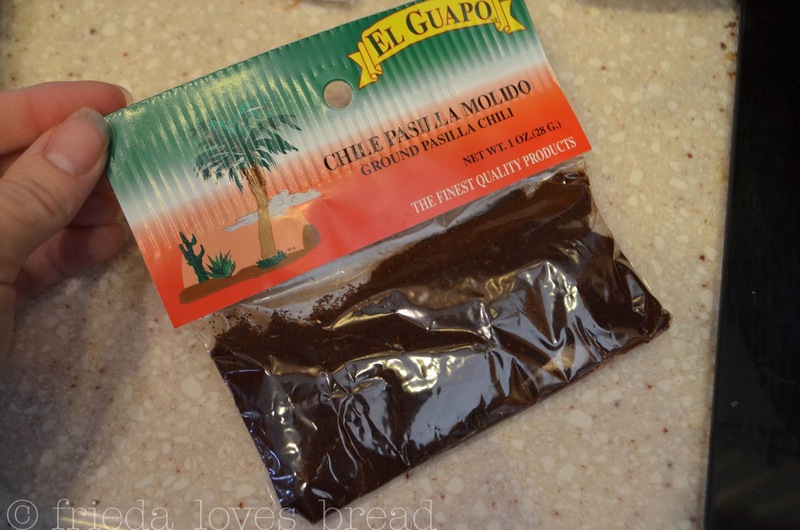 Pasilla chili powder, a dark chili powder that is wonderful in this soup. You can use anywhere from 3-5 Tablespoons, depending on how hot you like it! Saute some onion, add some garlic, and then you are ready to add your tomato sauce or juice. Cover and cook for about 20 minutes, or till the pork is tender. Add the drained hominy and heat through. That's it! 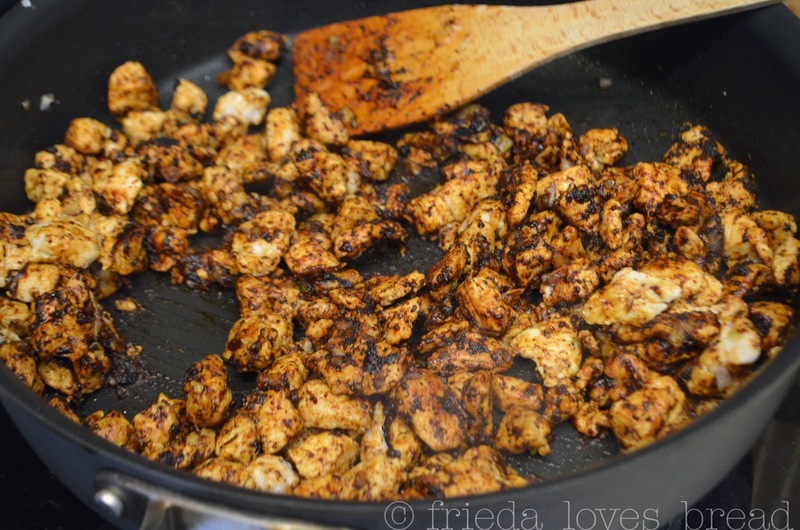 Serve hot with some lemon or lime wedges, sliced avocado, and fried tortilla strips.